Scientific Validation - Automotive Thermal Management Systems, Inc.
Clemson University research on "Nonlinear Controller for Automotive Thermal Management Systems"
In the Introduction, the authors state that "Passenger and commercial ground vehicles use a variety of sensors, actuators, and on-board controllers to monitor and regulate the operation of the internal combustion engine, transmission, chassis, and safety subsystems. These mechatronic system components permit improved vehicle performance, fuel economy, tailpipe emissions, and occupant safety...However, the engine cooling system components and thermal control strategy have not been significantly redesigned to realize greater engine thermal efficiency." 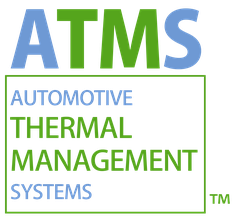 This paper was authored by Setlur, Wagner, Dawson, and Chen through the Automotive Research Laboratory of Clemson University, South Carolina, and makes the point that thermal management, in a sense, is the last remaining product under the hood that has not gone to a digital format. Click on the "Download" button above to view or download this research paper to your device.